He was the only Muslim king of modern Europe, and he survived over fifty assassination attempts as the last monarch of Albania. 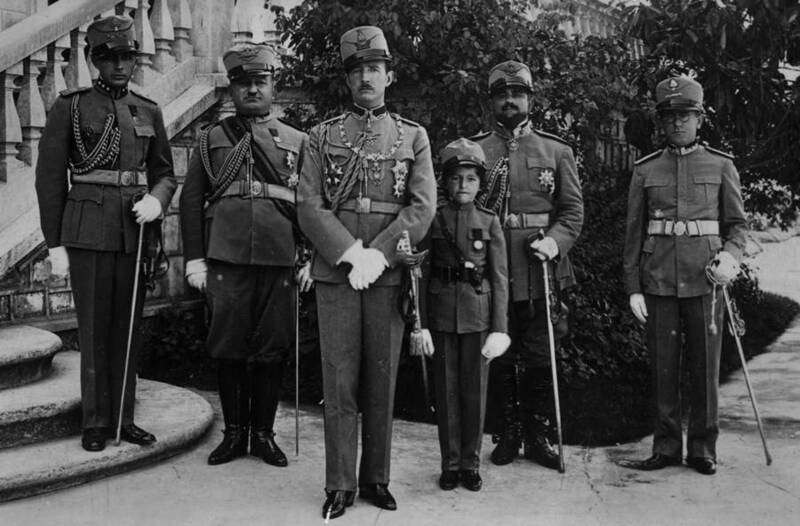 Hulton Archive/Stringer/Getty ImagesKing Zog I of Albania, center, poses with crown prince Vogal Esad, Colonel Saredgzi, General Aranita, General Ghilardi and Colonel Basha. Circa 1930. 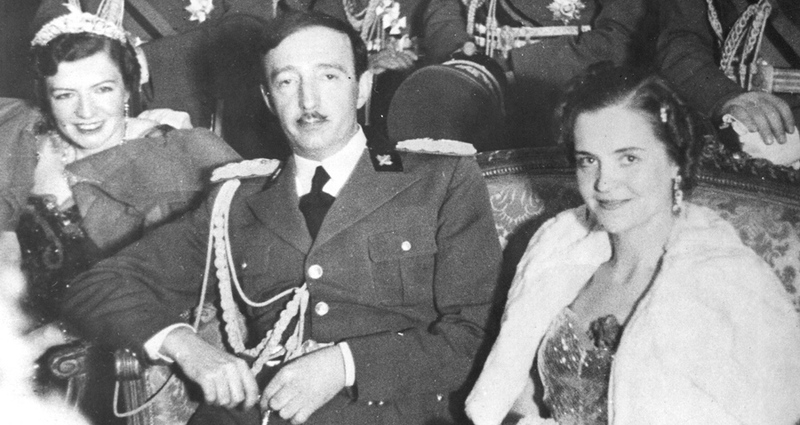 King Zog I of Albania rarely made public appearances. He only trusted his mother to make his food for fear of poisoning. The paranoid king only surrounded himself with his most loyal guards, who were also members of his tribe or his family. 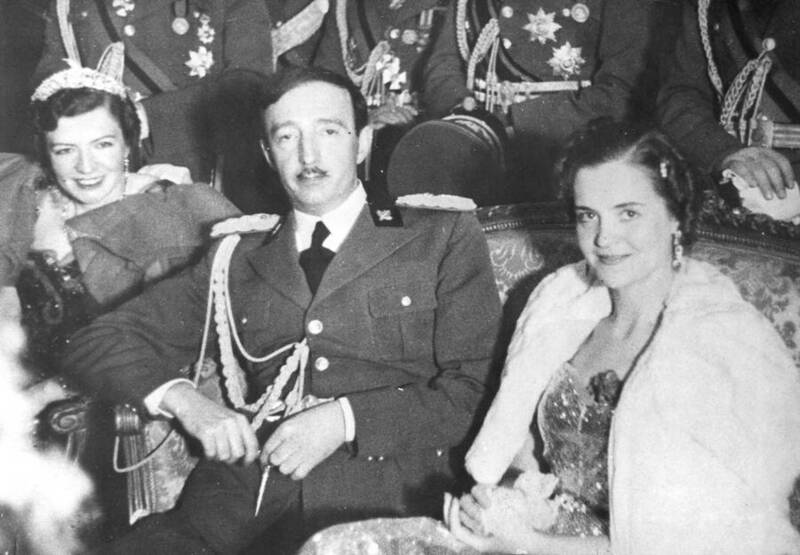 It turns out, King Zog I may have been onto something, as he survived around 55 assassination attempts throughout his life. Amazingly, he wasn’t the only world leader who survived dozens of attempts to kill him. 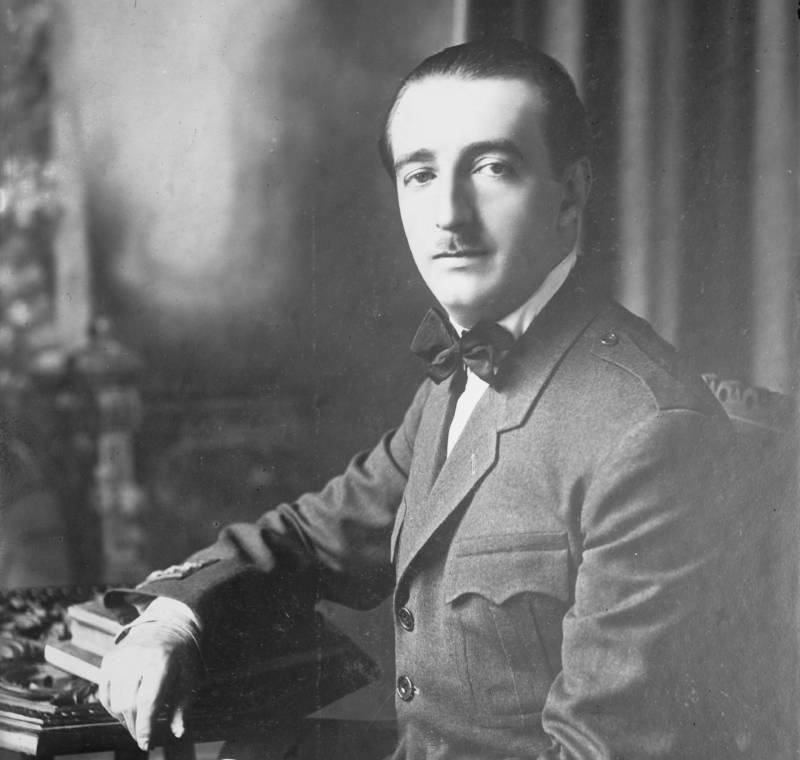 King Zog I was born Ahmet Muhtar Bej Zogolli in 1895. As a young man, Zogolli helped his country fight for independence from the Ottoman Empire. As a colonel in the revolutionary forces, he rallied 2,000 troops against the Turks in a remote area of Albania at the age of 17. His countrymen heard of the bravery, and Zogolli became a part of national politics. He then changed his surname to Zogu to make it sound more Albanian. After the end of World War I in 1918, Albania had no government in power. When the Ottoman Turks left, Austrian and Hungarian forces came into the country before fleeing to defend their home territories. Italy occupied Albania soon after, but the provisional government implemented wasn’t satisfactory for the Albanian people. Albania was a small country in between several warring powers. For the previous hundreds of years, ethnic Albanians never lived in an independent nation. It was in this struggle that Zog rose to power. In the early 1920s, Zog was appointed interior minister of the new government and subsequently elected prime minister in 1922. Shortly after he was elected prime minister, the assassination attempts began. That’s because Zog had a way of making his political opponents disappear or go into exile. Anyone who disagreed with Zog’s policies was an enemy of freedom in his mind. Wikimedia CommonsKing Zog I of Albania in one of his many formal portraits. In other words, don’t tell the people about the assassination attempt. But word spread and the attempt on Zog’s life emboldened the opposition. Forces loyal to Zog then killed Avni Rustemi, a popular Albanian politician suspected of being involved with the assassination plot, on April 20, 1924. The high-profile killing served to make a point that the supposedly strong central government was anything but. Zog and his followers were forced into exile in June of 1924, but that wasn’t the end of his political machinations. He returned triumphantly in early 1925 and staged a successful coup. Wikimedia CommonsKing Zog I with Italian foreign minister Gian Galeazzo Ciano in 1937. Parliament then decided to elect him prime minister for a seven-year term. In 1928, Zog crowned himself king with the approval of neighboring Italy. Money from Benito Mussolini, to the tune of millions of dollars to build two opulent palaces, helped. During his coronation, Zog’s troops kept crowds to a minimum for fear of another assassination attempt. While Zog lived in opulence, peasants, farmers and former military men were extremely poor. 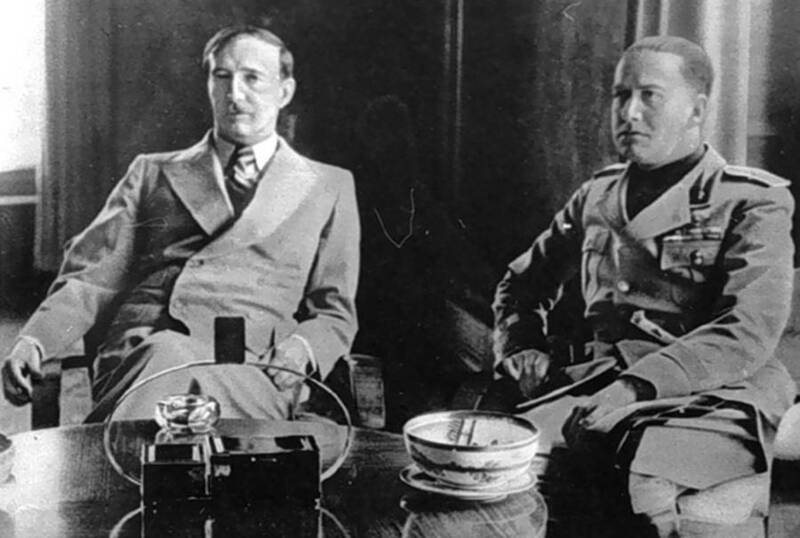 In the early 1930s, Zog became obsessed with his own personal security. His guards were his own Mati tribesmen, a people who had 400 years of history with Zog’s family. Zog left Albania for Vienna, Austria, in January of 1931 to seek medical attention. His “therapy” included a trip to Vienna’s world-famous opera house. As the king entered his car after the performance, two former Albanian military members shot at him and his party. The assassins missed the king. The gunmen killed one of his close advisers and wounded another. They tried to flee when Zog pulled out a gun and fired back, although he was a poor shot and missed the assassins. Austrian police then arrested the plotters unscathed. PhotoQuest/Getty ImagesKing Zog of Albania sits between two women in the late 1930s. Mussolini’s multi-million dollar loans to Zog came with a price, and while Zog tried to minimize the imprint of Italy, the fascist state would invade Albania in 1939. Zog then fled to Great Britain with $2 million stashed away in a bank account. He used the money to live the good life, including purchasing a 150-acre estate on Long Island. It was a retreat built for a king, but Zog never made it to America. The palace remained unoccupied and sits in ruins today. The deposed ruler died in Paris in 1961. He avoided assassination, although the 55 reported attempts on his life aren’t all completely documented. In terms of number of assassination attempts, Zog wasn’t the only leader targeted with such zeal. Charles de Gaulle of France survived more than 30 assassination attempts, while the CIA alone purpotedly planned more than 600 assassinations against Cuba’s Fidel Castro. It’s something of a miracle that all three of these leaders survived into old age. After learning about the many assassination attempts on the life of King Zog I of Albania, visit our other posts on rarely seen photographs of the Kennedy assassination and how Joseph Stalin plotted to assassinate John Wayne.